We welcome you to try POD for free for a limited time in partnership with Intel. Run your code in our ready-to-use HPC-optimized environment. All fields are required except where noted. Are you a Penguin Computing customer? 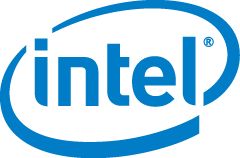 Use of any software component of the Intel® Parallel Studio Cluster Edition product installed on this cluster system implies you agree to the terms of an Evaluation license found in the End User License Agreement (EULA). Your login to POD will also provide you with optional access to all of POD’s HPC compute resources. Contact us for details.